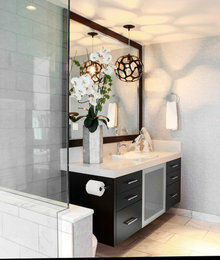 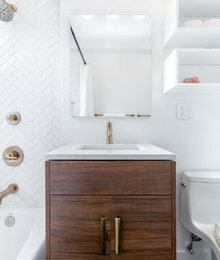 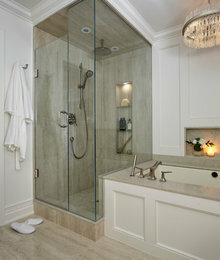 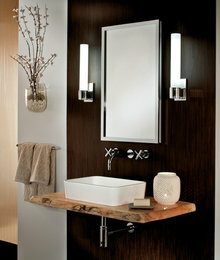 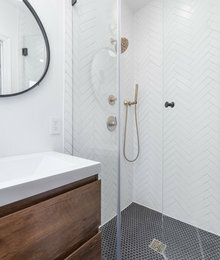 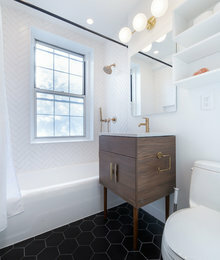 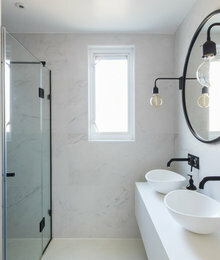 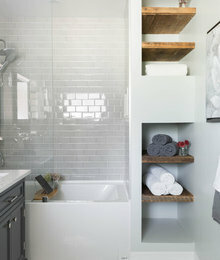 Really like the tile in the shower and the configuration of this bathroom. 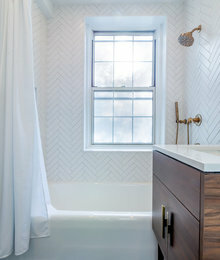 Pretty tile on the side of the tub. 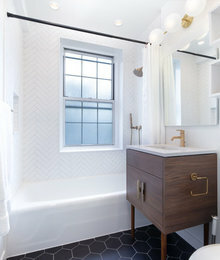 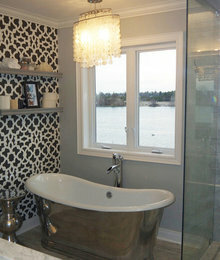 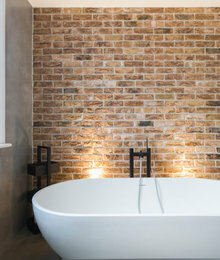 Love the tile behind the tub. 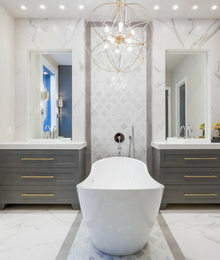 But I could also use wallpaper. 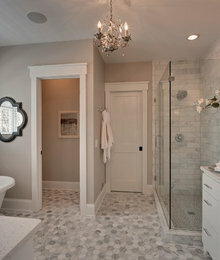 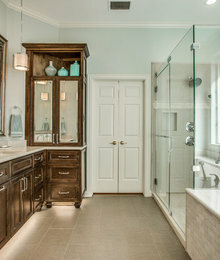 Master bathroom-I like the size of the tile on the floor. 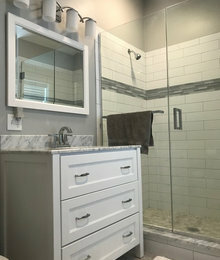 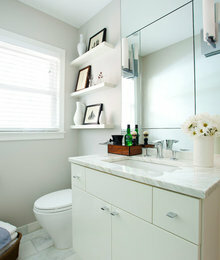 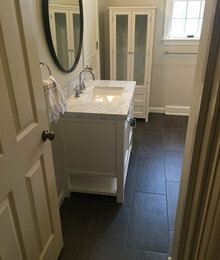 For small bathroom? 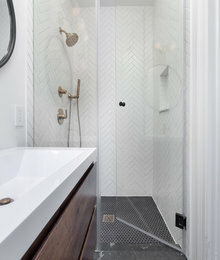 I like the shower style and tile. 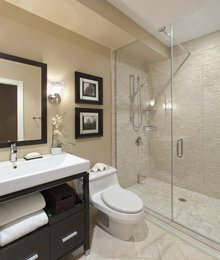 I like the shower configuration.